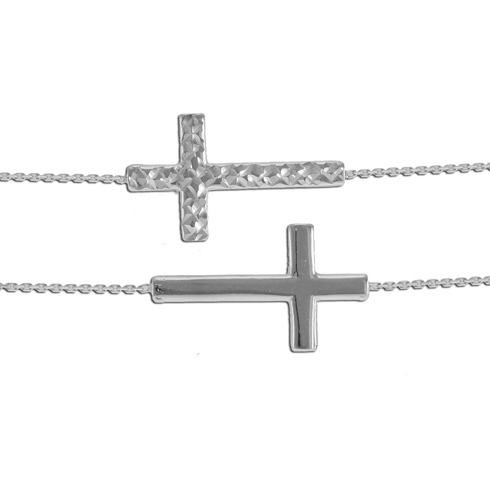 Reversible sideways cross is made of polished, solid 14kt white gold. Cross is attached to an adjustable bracelet, 7in to 7 1/2in length. Chain width: .5mm. Item weight: 1.75 grams. Lobster clasp. Imported.